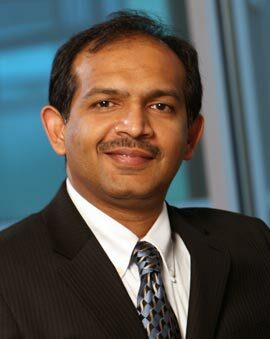 Dr. Nidhiry earned his doctorate of medicine from Mahatma Gandhi University in Kerala, India. He went on to undertake an internship at the Government Medical College in Kottayam, India, and a residency in internal medicine at Howard University Hospital in our nation’s capital. Upon completing his residency, Dr. Nidhiry furthered his stay at Howard University Hospital with fellowships in medical oncology and hematology. Dr. Nidhiry comes to Commonwealth Cancer Center from a private practice in hematology and oncology in Greenbelt, Maryland where he has practiced since September 2005. He has a number of abstracts and presentations to his name as well as a publication on micro-satellite instability in colorectal cancer. Outside of his medical work, Dr. Nidhiry enjoys reading and photography.